State officials on Monday defended the decision to delay a commuter rail station at a development site in Allston until 2040, even as members of the Transportation Department’s board of directors questioned the timeline. The proposed “West Station” is a component of the massive $1 billion-plus project to straighten the Massachusetts Turnpike through Allston, opening dozens of acres for new development on land owned by Harvard University and replacing a tangle of highway infrastructure with a new street grid. The station would open 15 years after the highway project wrapped up — a timeline that angered some Allston residents and transit advocates when it was announced in late November. The state estimates that the highway project and resulting development in Allston will not generate enough traffic to require new transit options and that only 250 passengers would board at West Station daily, even though Harvard would add millions of square feet of new buildings. At a public meeting Monday, transportation board member Monica Tibbits-Nutt said she found those estimates hard to believe. Another board member, Braintree Mayor Joseph Sullivan, said putting the station at the end of the construction timeline “seems a little backward.” Making the station a higher priority, he suggested, could help the state entice private partners to help fund it. 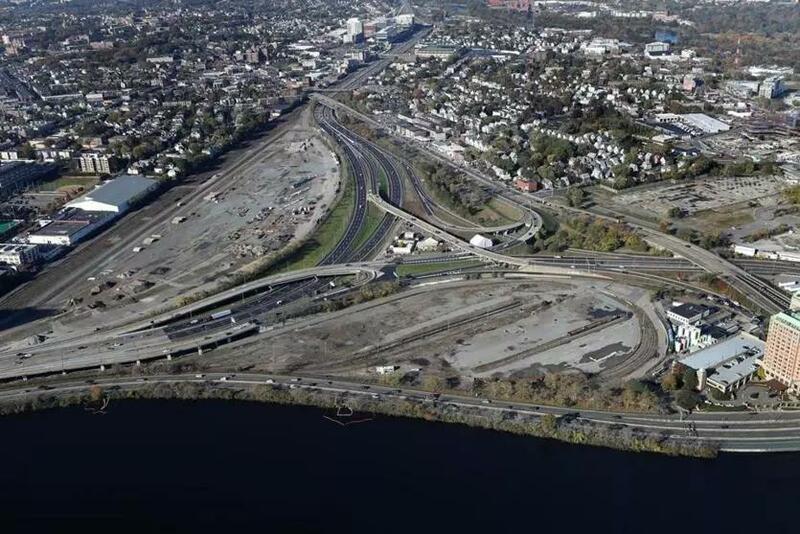 State officials have cited practical reasons for not building the station sooner: There already is a new train station nearby, about one mile away at the Boston Landing development, that serves the same rail line; Harvard’s plans for the site are still taking shape, making it difficult to plan around; and there is no plan to pay the estimated $95 million cost of West Station, beyond a commitment from Harvard to provide about one-third of the funding. Another goal of the highway project is to open space to park commuter trains when they’re out of use during off-peak hours. On Monday, Transportation Secretary Stephanie Pollack stressed that building even a small version of West Station before the 2040 schedule could cut into that limited rail space and suggested the layover facility is more important than the transit stop. Transit advocates say West Station could be more than a typical commuter rail stop on the Worcester-South Station route. Using smaller sets of trains and routing them onto tracks that cross the Charles River, the MBTA could use the station to serve as a base for frequent service within the urban core, going to both North and South stations, they said. As it happens, the T is exploring ways to make the commuter rail more like the rapid transit system, with frequent inbound and outbound service throughout the day. If adopted, the new type of commuter rail service would be in place in the 2030s, officials said Monday — well ahead of West Station.